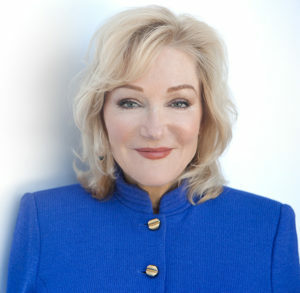 Dr. Susan Murphy is known for her “Wit and Wisdom” as a Keynote Speaker, Author and Business Consultant. Audiences everywhere appreciate her humorous style and useful techniques as she combines research and theory with real life experiences. Susan’s background includes 20+ years of national & international experience with 300 organizations including many Fortune 500 companies. Clients include U.S. Air Force, Jet Propulsion Lab (NASA), Stanford University, Caterpillar, Raytheon, Tenet Healthcare & Medical Group Management Association. Passionate about Leadership, Generational & Gender Differences and Mentoring, Susan thrives on serving as a catalyst for break-through performance. Susan’s background combines the 3 worlds of corporate leadership, academia & management consulting. She has been an Executive in two Fortune 500 Corporations, has served on the Graduate Faculties of University of San Francisco & Vanderbilt University, and has performed international consulting & speaking for 20 years to a variety of industries. Susan has written 9 books including Maximizing Performance Management: Leading Your Team to Success, Leading a Multigenerational Team, Conversations on Success. In the Company of Women co-authored with Dr. Pat Heim was selected as Harvard Business School’s Book of the Month, featured on “Good Morning, America” & Time Magazine and has been translated into several languages. 2004 Dr. Murphy received a Lifetime Achievement award from Vanderbilt University. 2007 Palm Springs Life named her “An Influencer”. 2016 WLF honored her as a “Woman Who Rules”. – Ph.D. in Organizational Systems. Mission: To Serve As The Catalyst In The Optimum Development And Performance Of People And Their Organizations.